Petrasite:: How to restore WhatsApp chat log in BlackBerry 10 devices? How to restore WhatsApp chat log in BlackBerry 10 devices? 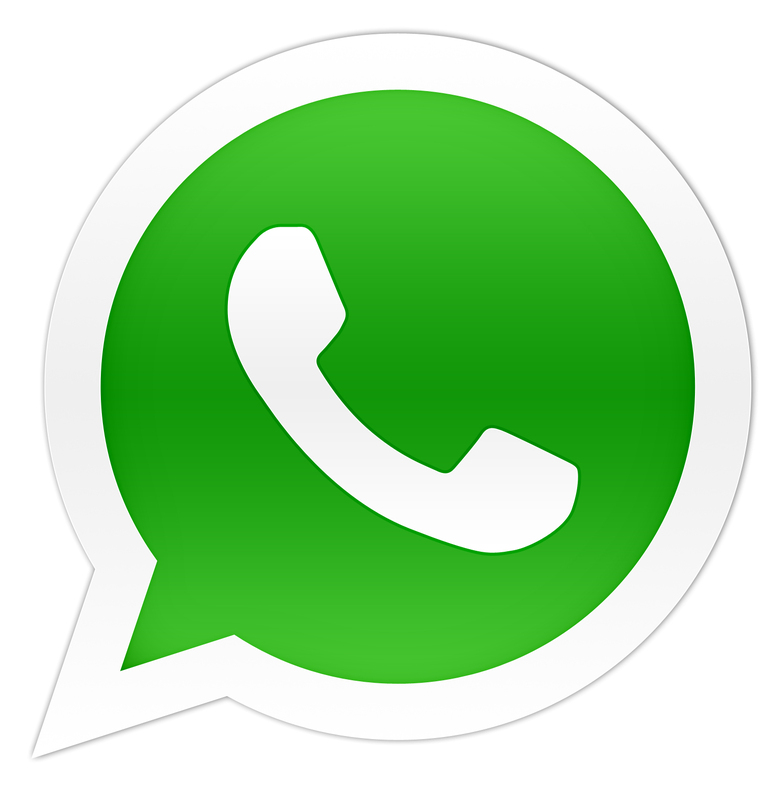 Although WhatsApp was officially launched for BlackBerry 10 devices, however the support was somewhat lacking. At least when come to restoring the message you back up which took me quite awhile to find out how to do so. When I am so keen to always upgrade my BlackBerry Z10 or even recently 'Q10 I got from StarHub for review' with the latest leaked OS, I want to make sure I still keep track of WhatsApp history log. WhatsApp back up feature which can be found after swiping down at WhatsApp, showing "Settings", click Media Settings, it will state when it was last backup. 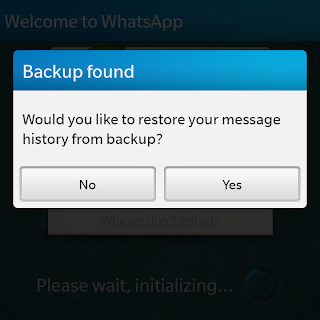 I suggest you click "Backup conversations" at the point when you are updating your BB OS or wipe your device. After which you access your BlackBerry Internal Storage, under Misc file folder, you will see WhatsApp folder, that is where your history chat backup are stored. Copy out and paste it to your desired location on your laptop. You will need to copy it back to the same location before you install WhatsApp back to your newly upgraded OS. You can also copy it to your new BB 10 device if you want your history chat to be in the new BB 10 device. Upon completing update of your OS or setting up your new BB device, make sure you paste it back to the 'Misc' folder under your BB Internal Storage, not your Media Card. Once done, you can go to BlackBerry World and download "WhatsApp". Load it, click "Agree & Continue". Enter your mobile number, at certain point, it will prompt you "Backup Found. 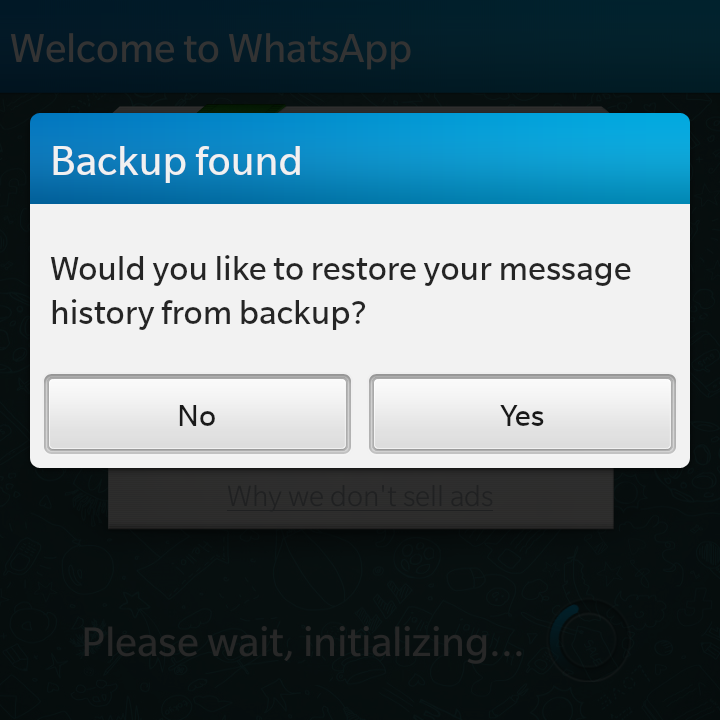 Would you like to restore your message history from backup?" Click Yes. It will indicate how many messages were restored. From here, you are good to go.